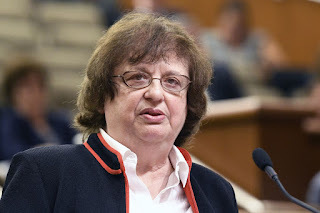 NEW YORK -- New York State Attorny General Barbara Underwood issued the following statement in response to the nomination of Brett Kavanaugh to the Supreme Court of the United States. "The Supreme Court has the potential to move us toward a more just and equitable society — and it's been an honor to be a part of that effort at various points in my career, including while clerking for Justice Thurgood Marshall and serving as U.S. Solicitor General. Yet it appears that President Trump's nominee has been chosen for his potential to move us backwards, upending decades of protections for women, racial minorities, LGBTQ Americans, workers, and other marginalized groups, and the fundamental principle of equal justice under the law. But there is no time to despair. For the sake of the country, I urge the Senate to insist on a fair and independent nominee; either way, we must — and my office will — continue fighting for justice in the courts, while taking action here in New York to protect our values and rights that are under assault. Regardless of President Trump's ongoing efforts to undercut New Yorkers' hard-earned rights, this office's work will continue full speed."